Throughout the Tropical Island Cultures, bamboo and Thatch Umbrellas have been a symbol of the serene tropical hideaway. This 7 foot diameter grass umbrella is completely collapsible and portable. The 1 3/4 inch diameter bamboo pole easily breaks down into 2 pieces for storage or is durable enough to be left up year round. The umbrella cover is made from real sea grass imported from around the world and hand-picked to ensure the highest possible quality. Sea grass and bamboo are considered renewable resources so you can achieve a natural island look without depleting natural resources. 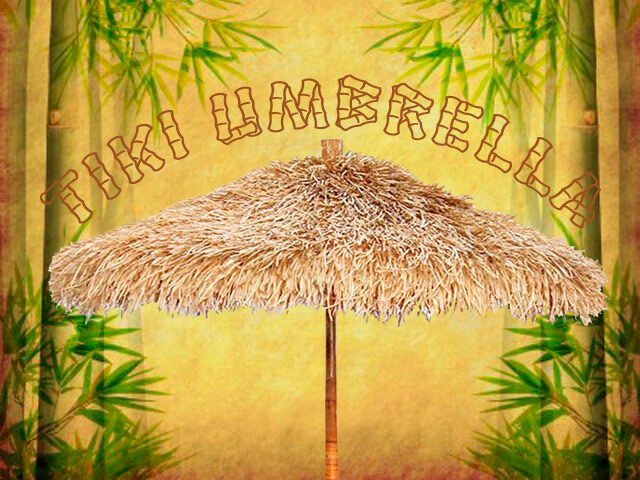 TIKI Umbrellas Also Available in 9, 12 and 14 Foot in both Grass Thatch and African Reed.